In the movies “Deep Impact” and “Armageddon,” heroic astronauts plant nuclear bombs to blow up giant asteroids heading toward Earth. Based on new computer modelling, that may be tougher than originally thought. 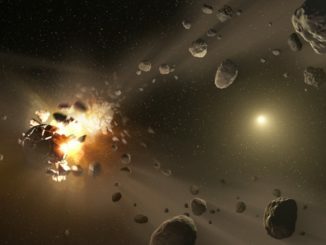 In the early 2000s, a different team of researchers modelled what would happen if an asteroid 1 kilometre (0.62 miles) in diameter crashed head on into a 25-kilometre-wide (15.5-mile) asteroid at a velocity of five kilometres per second (11,000 mph). 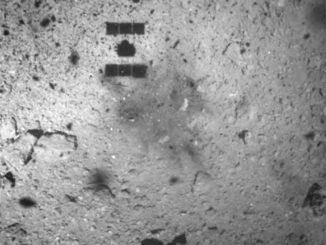 The results indicated the larger asteroid would be completely shattered and blown apart. El Mir and K.T. Ramesh, director of the Hopkins Extreme Materials Institute, along with Derek Richardson, an astronomer at the University of Maryland, plugged the same numbers into a new computer model that includes more detailed, smaller-scale processes that more accurately reflect how cracks propagate. The simulation considered the processes at work in the first fractions of a second after an impact and then the longer-timescale effects of gravity on the fragments blown away from the surface and their re-accumulation well after the impact. 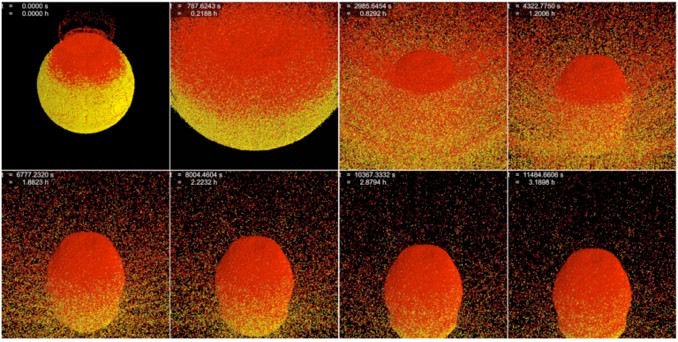 The model indicates the entire asteroid is not shattered. A damaged core remains that exerts a firm pull on the fragments blasted away in the initial impact. Instead of leaving a “rubble pile” in its wake, the impacted asteroid likely would remain a formidable body because it did not completely crack apart. A paper detailing the results of the study will be published in the March 15 issue of Icarus. Scientists have long held the belief that planets — including Earth — were built from rocky asteroids, but new research challenges that view. 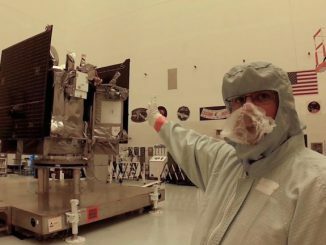 We take a walk around NASA’s OSIRIS-REx spacecraft before it was loaded into the nose cone of the Atlas 5 rocket that will launch it on 8 September.